“What is to become of us?” This question is often heard from the young adult as well as older persons and frequently manifests the apprehension of growing old, the fear of aging, accompanied by the anticipation of the loss of vitality, mobility, and potency. This is a result of the very negative outlook for the elder person. Modern science has improved living conditions so that longevity has been significantly increased. Octogenarians are increasing in number; living to the age of ninety is no longer unusual. Continued advances in biological sciences have resulted in the prolongation of life, and the day will soon arrive when reaching the age of 100 will be very common. Although frightening to some, this increase in age offers to individuals an opportunity for continued productivity and achievement. Contradictory feelings have arisen as to whether the increase in longevity is a blessing or a curse. Is humanity to be benefited from the experience of these elderly people or is the younger generation going to be saddled with the maintenance of useless human beings? The answer is yet to be determined and will be greatly influenced by what the biological, social, economic, and political scientists do to promote utilization of this potential wealth. The American culture, not too differently from the European and the Asian, has developed with a pessimistic view for the older person. This competitive society has always fostered the idea that progress is restricted to the young. The elderly person, more and more, is being shelved because he is no longer productive to the family or to the company. There is a tendency for children to rebel against parents as being “old fogies.” In the labor market and business world, professionals and other skilled workers usually have a forced retirement at the age of sixty-five. The spread of these attitudes has had tremendous influence in forcing older people to accept the role of pseudo-uselessness, sometimes even resulting in premature senility. Modification of society’s destructive attitude toward the potential availability of the older person may be brought about by an overall educational and rehabilitative program. This program may include education and rehabilitation of the elderly person to function maximally and also make the general public aware of how to utilize the available potentialities. A program has already been initiated in the form of “Golden Age” clubs and several studies involving economic, social, medical, and psychological means of aiding the elderly. This beginning can be furthered by the leadership of those who have the courage and are willing to lend their energies to understanding the problems and values of this age group. The increase in longevity has exposed many problem areas related to the mental health of the elderly. The major emotional problems of the older person appear to be a perpetuation of earlier conflicts. The exacerbation of these conflicts in the age group results from the decomposition of early defense mechanisms—reaction formation, compensation, etc. During this latter period of life, the process of aging brings on increasing feelings of dependency, as a result of cultural attitudes that tend to remove older persons from previous physical and mental activities. This restriction of activity very often provokes and reactivates early feelings of inadequacy. When unable to find ego support, the older person may either withdraw and become an isolate or seek physical ailments as a means of contact with others. The withdrawn older person frequently develops a lethargic condition manifesting symptoms that are also characteristic of senility. These symptoms, because of the person’s age, are often misinterpreted as organic deterioration. Interest in the psychological problems that afflict the aged has mounted. Many investigators have begun to report their findings with an emphasis on the origins of such disturbances and methods of aiding these previously neglected people (Busse, 1955; Ebaugh, 1956; Kopits, 1970; Wayne, 1955; Pfeiffer et al., 1968). The method of coping with these emotional problems has been limited essentially to environmental manipulation. Attempts have been made to help the older person to accept restricted activity and to guide him in limited pursuits (Fink et al., 1969). There are also reports of efforts to utilize psychotherapeutic techniques to aid this age group to resolve its emotional problems (Goldfarb, 1955). 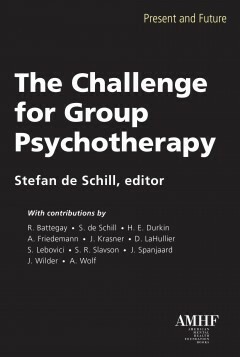 The psychotherapeutic approach has been tried in both individual (Gronewald, 1956) and group settings (Grotjahn, 1955). Most of these group efforts are socially oriented in an effort to make available participation in group activities, e.g., Golden Age clubs. The group therapy process has also been utilized in institutional settings (Kahn, Fisher, and Lieberman, 1969). However, scrutiny of the literature and verbal communications reveal that psychotherapy actually plays a small part in the total therapeutic endeavor. Linden (1953, 1955, 1956) has described various transferential relationships and their use in determining diagnosis and treatment progress. Goldfarb (1955) has recommended a course of treatment which closely resembles guidance and counseling. Rosen (in a group psychotherapy society panel discussion) has referred to the “Smith Remotivation Technique,” which has been tried in Pennsylvania hospitals for the aged. The latter technique appears to be another form of group activity participation. The writer has worked intensively with older people for over a decade in private practice, in an outpatient clinic of a general hospital and in an outpatient mental health center. In an effort to evaluate and determine more effective psychotherapeutic procedures and techniques, this age group has been seen in several different settings: individual psychotherapy, a mixed group which included young adults, a group limited to a minimum age of sixty, and combined individual and group psychotherapy. Psychotherapeutic experience with this age group has shown that transference problems that arise are time-consuming and difficult to work through. In individual psychotherapy, the initial transference is usually negative. Most often, the patient experiences the therapist as “child” upon whom he is forced to depend. When initially placed in a psychotherapy group with younger persons, most older patients assume a role of the parental figure and need to prove themselves a “good” parent. This rigid role thwarts the development of other transferential relationships as well as placing the older person in a defensive position. In these settings, the patient may be confronted with persons whom he experiences as trying to destroy him, i.e., deprive him of his rightful role in society. Any critical response is experienced as rejection and often results in hostile aggression and/or withdrawal. Grotjahn (1955) also has reported similar experiences. He theorizes that the neuroses of old age are defenses against castration anxiety, that advancing age tends to shatter the illusion of eternal youth. He also stresses the importance of having to work through the parent-patient relationship to the child-therapist. The writer has found that these phenomena and the intense, related negative effects are more readily worked through in a homogeneous group setting. Thus, although varying degrees of success have been attained in all settings, continued experience has shown that the psychotherapy of choice for these patients is to place the patient initially in a psychotherapy group homogeneous with respect to age. A major psychotherapeutic force of the group process is to confront the patient with reality. A group limited in age range has the advantage that each person feels himself to be among his peers, rather than as a “good” or “bad” parental figure with the younger people in the group or as the inept parent leaning on the “child” in individual sessions. The acceptance of the older person by others permits the acceptance of his own needs as something other than weakness. He is afforded the opportunity to accept others and to relate with them interdependently. He is then in a better position to express his needs and to take from and give to others. This process results in the in crease of ego strength, enabling the patient to better express his needs and seek satisfaction outside the therapeutic situation. The multiple transference phenomena provided in the psychotherapeutic group setting allow more rapid uncovering and analysis of experienced overwhelming anxiety produced by repressed conflicts. The interaction among the members within the group elicits and more readily exhibits the manifestations of the characteristic defenses that have become life patterns with each individual. The author and Marks (1966) have reported their evaluation of the precipitating factors that result in patients’ seeking psychotherapy at age sixty or older. This report reveals that each person had experienced a threat of separation or actual loss of an important figure. The real or phantasized threat of an object loss tended to reactivate an archaic threat experienced during the infantile oral phase of psychosexual development. The experienced or anticipated adverse life situation that created the threat varied widely, e.g., death of a parent, spouse, or lover; loss of a job; marriage of a child. Continued analysis of the symbolic meaning of the separating object revealed the presence of unconscious, intense oral dependency. There was an experience of intense anxiety related to feelings of anticipated annihilation, which would result from the loss of the source of nurture. The investigators found that the intensity of the anxiety appeared to be related to the degree of deterioration of previously developed mechanisms. During their lifetime, these older persons had developed patterns of living that tended to temper the anxiety-provoking threat of annihilation through separation. The defense pattern incorporated many different forms of behavior. Some persons attempted to gratify their dependency needs by developing an acquiescent, subservient role to nurturing figures; some projected their dependency needs onto the nurturing object, e.g., they would maintain a bond with the rationalization that the parental figure could not possibly exist without them. Others would identify with the succoring object, e.g., experiencing gratification by supplying, and sometimes, even forcing gratification of needs they had projected onto the child object. Still others attempted to cope with this threat by denial, and in so doing, assumed a role of complete independence. As these individuals respectively tend to reach and approach the later years of life, the prior effectiveness of their defense mechanisms tends to diminish, resulting in reactivation of the early threat, exacerbation of anxiety, and the appearance of related symptomatology. It is the author’s belief that personality reconstruction in the older person can be brought about through group psychotherapy, analytic in orientation and in a group specifically confined to this age range. This contention is strikingly in variance with a commonly held and certainly less optimistic view with which psychotherapy of these older persons has been regarded. Based upon years of experience with such a psychotherapeutic group, the author hopes to demonstrate a new and productive approach to the problem of the reconstructive psychotherapy of the elderly, heretofore regarded with undue pessimism. Establishment of psychotherapeutic relationships within the group setting by means of an accepting attitude by the therapist and transmission of this attitude to the group members. Ego strengthening and support by offering understanding to present difficulties and focusing on the positive. Activation of transference relationships and the relating of feelings and associations. Focusing and analysis of resistances. Focusing and analysis of acting out. Surfacing, analyzing, and working through of early conflictual material by analysis and interpretation of dreams, transferential relationships. The establishment and experiencing of new values and like experiences within the group, which may be utilized in outside situations. Prior to entering the group, each patient may be seen in individual sessions. The individual sessions are utilized to get acquainted and establish a therapeutic relationship with the elderly. The patients are encouraged to discuss the major problems that precipitated their seeking treatment; familial, social, and professional constellations and relationships; life patterns from early childhood to the present. Questions about psychotherapy and the group process may be explored in an enlightening, nonthreatening manner. This informal, empathic setting tends to foster a therapeutic relationship, and the patient may be motivated for psychoanalytic group psychotherapy. Although this motivational process is frequently accomplished in one session, it may be more propitious to see some patients in individual sessions over an extended period of time. After the patient has accepted group psychotherapy as the treatment of choice, he is assigned to and asked to attend group sessions. The psychotherapy groups of this age range, in which the writer has been therapist or supervisor, have always met for one and a half hours once a week. There have been no scheduled pre-, post- or alternate sessions, i.e., sessions where the therapist was not present. However, when occasions arise where the therapist is unable to attend a weekly session, the group is asked to meet without the leader. The occasional meetings of the group without the therapist do not disrupt the continuity of the therapeutic process. Actually, they may add another dimension—some patients may feel more free to express reactions, either positive or negative, which previously they have been unable to verbalize, or sometimes even experience, in the presence of the therapist. The psychotherapeutic results of having persons over sixty in a psychoanalytic group setting are generally very good. This is especially true when the patients’ initial group experience is in a homogeneous age group. In over a decade of experience, the writer has had only one complete failure, and this occurred in the first few years of work with this age group. Reevaluation of this therapeutic failure has revealed that the cause may be attributed to the therapist’s lack of knowledge and understanding at that time and not to the patients’ inability to benefit from the group psychotherapy. As a result of experimental zeal, the therapist prematurely put the patient in the group, rather than providing sufficient individual sessions to gain a more comprehensive understanding and establish a good therapeutic relationship. Many examples of the positive therapeutic effects may be illustrated. The writer will limit the illustrations to (1) the therapeutic progress of a male in his early sixties who has been in a group for two years and (2) the therapeutic progress of a group, including individual psychodynamics, group interaction, group psychodynamics, multiple transference, and psychotherapeutic change. An Illustrative Case History. Carl is a white male in his early sixties who applied for therapy because of “depression, anxiety, shaking.” He added: “I am disturbed by the fact that I want to return to my ex-wife and we broke up again. I lost my job, I get nervous and upset … At the age of fifty-two, I fell in love with a widow. She was forty with two grown sons. I was a bachelor for many years. She pressed the marriage. Suddenly, she backed away, and she met a man while she was away in Florida on a trip. I took it badly … We got together. I felt she was on the rebound from another man. She wanted again to marry … My wife left me for another man now.” Patient was diagnosed as reactive depression with somatic symptomatology. He was seen individually for two sessions then placed in a psychotherapy group. During the first several months of therapy, Carl’s reaction in the group was primarily limited to expression of his irritability, nervousness, and inability to work. As the sessions continued, it became evident that a major secondary motivation for remaining in therapy was to be labeled “helpless.” He applied to an insurance company for “total disability” benefits and requested that his therapist confirm this position. The therapist offered to submit the diagnostic evaluation, but refused to confirm Carl’s hopeless prognosis. Although he reacted with initial intense resentment, Carl experienced ego support from the therapist’s optimistic prognostic evaluation. He began to explore job opportunities, accepted part-time positions, which, in the past, would have been considered below his deserved standards. He then sought out and encouraged a nephew to join him in partnership and took over a concession at a New York State resort community. After the summer holidays, Carl informed the group that the partnership with his nephew had broken up on an unhappy note. He had asserted himself and had expressed his resentment toward the nephew’s crude and exploitative behavior. When he discussed this experience with the group, he was able to see in the nephew traits of which he had not been conscious in the past. Encouraged by the group, Carl got a job canvassing advertisements for a union magazine. He began developing more ego strength as a result of his newfound financial independence, and was able to cope effectively with an erratic supervisor. While visiting his sister in a small town approximately fifty miles from New York during the summer, Carl had met and developed a close relationship ,with a widow, Mary, who was twenty years his junior. It was interesting to note that Mary also had two children, but younger than those of his ex-wife. During the fall, he made frequent visits to his sister, which enhanced his opportunity to further the relationship with Mary. He described to the group the satisfaction he derived from his sexual relationship with Mary and how he was becoming closely involved with her everyday life and her problems. In the group discussions, he expressed empathy with Mary and described the financial difficulty she had in supporting herself and two children on a relatively low income. The children had manifested emotional problems and the older boy had been placed in psychotherapy. Carl believed that Mary also had been drawn into therapy because of the son. In an effort to please Mary, and in so doing, become indispensable to her, Carl became more and more involved with the children. Although he had experienced initial feelings of irritation, he began to develop affection and fondness for them. He began to perceive that the children were lonely and did not experience or receive the affection they wanted from the mother. He also mentioned that the mother seemed cold and impatient and often considered the children a burden. While describing the “familial” relationship, Carl began to evaluate Mary’s personality and her capacity for love. As the therapy progressed, Carl began more and more to appraise his relationship with Mary in a more realistic fashion. He became increasingly aware of her unresolved dependency needs, immaturity, and emotional instability. When he spoke of his relationship with Mary, he described her attempts to dominate and demean him. Although he was beginning to see others’ exploitative use of him, he continued to rationalize the abusive attitudes toward him. He ascribed Mary’s behavior to her “nervousness, insecurity, and lack of experience in handling many converging problems she had to face.” He said that she wanted security and marriage to a man who could support her and the children. He had told her of his inadequate financial situation and discussed the difference in their ages. When the group stressed that Carl was trapped in this relationship by his intense need for affection and acceptance, he initially defended himself by denial and reaction formation. In turn, the group persisted in an effort to aid Carl in developing his acute, realistic perception of Mary as a person; the working through and working out processes gradually continued and Carl became aware of his transferential reaction to Mary. “I treat her the way I used to treat my mother. I have a warm feeling for her. I want to make her comfortable, but I’m angry at her when she criticizes me.” As a result of his understanding and increasing ego strength, Carl began to affect a more assertive role with Mary. On occasions when she attempted to dominate and demean him in the presence of friends, he would parry her attacks and “put her in her place.” The change in his behavior resulted in anxiety-arousing situations, but there was no move on his part to separate from her. His need to be nurtured and sheltered by a mothering figure was still strong and the sexual relationship was too gratifying to abandon without replacement. During the group sessions, he continued his attempts to justify her ambivalence and unpredictable behavior towards him. “She likes me a great deal … needs to depend on me … she is very much under the influence of her mother and friends who keep talking about our differences in age … and how our relationship will never really work out because of my low income.” He questioned what would happen in ten years when he would be over seventy and she would just be reaching fifty. In evaluating the situation, he once again was faced with an unavailable female. As the relationship persisted, Carl became very critical of her bad manners, vanity, materialistic approach to life and lack of decisiveness. He began to feel that her attraction to him was based on her need for sexual satisfaction. He was the only person who had ever gratified her sexual drives. During the interaction of the group, he became cognizant of the attributes that might contribute to a good relationship, i.e., his capacity for affection, kindness, and consideration and his sense of humor. The group members, particularly the women, emphasized that his behavior manifested a need to attach himself to “attractive, blond women,” who would eventually reject him. At this time, the therapeutic direction for Carl was to build up self-esteem. The group utilized his relationship with Mary to illustrate his effectiveness, which, in turn, enhanced his feelings of masculinity.